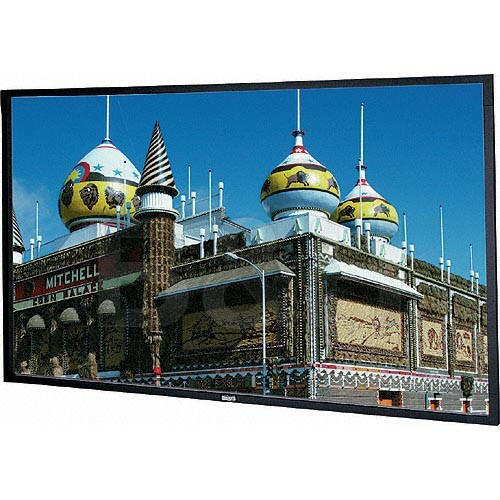 The Dalite 58 x 104" Imager Fixed Frame Front Projection Screen is an extremely and precisely flat screen ideal that is perfect for all types of video projection. The wall mounted Imager is the perfect solution for a library, school or office where a reliable, unadorned and manual wall screen is desired. It is available in various formats to suit any projection need (Video, AV, HDTV and Cinemascope). The Imager will present no technical problems and will provide many years of uninterrupted and reliable service. The Imager is easy to install on the wall or inside a cabinet and available in a wide variety of styles to blend with virtually any decor. Length Screen frame is 2 x 2-1/32"
Box Dimensions (LxWxH) 116.0 x 9.0 x 8.0"